Happy Wednesday. I'm stopping in with my card for this week's Card Concept challenge. This week we have a fun color combo for you play with. I love this color combo, but I have no gray ink that looks gray. Both of them are so dark they look black. I had to do some thinking on what to create without having gray ink. Problem solved...I used acrylic dots in gray for the centers of my flowers. 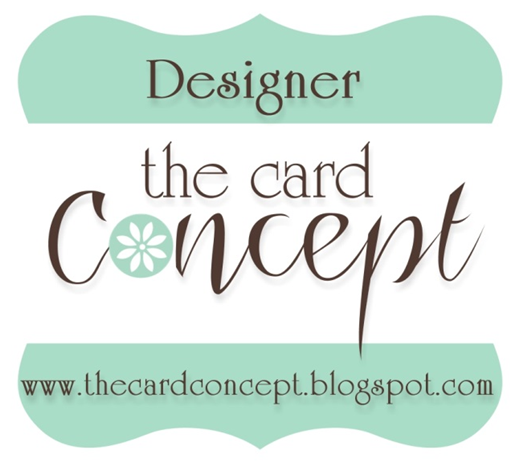 To keep with my CAS style I kept all of my stamping to the bottom section of my card. By doing this it still gives me lots of white space. Thanks for stopping by. 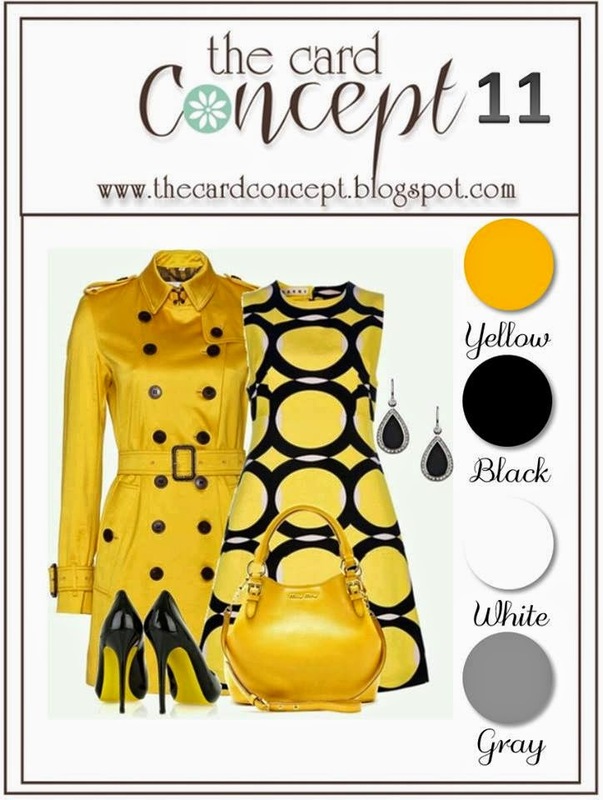 I hope you can join us and play along with this fun color combo. Absolutely lovely! The dots are perfect! 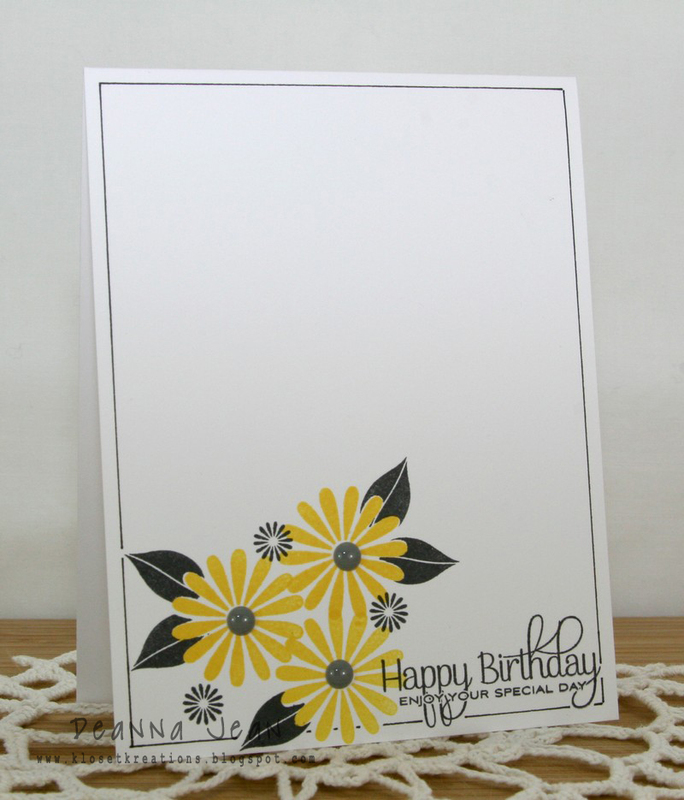 Terrific card Deanna, love the flowers and the thin black frame! Beautiful stamping, placement and your frame...love it all! I love the way you framed this image with the side borders! Elegant and simple at the same time!